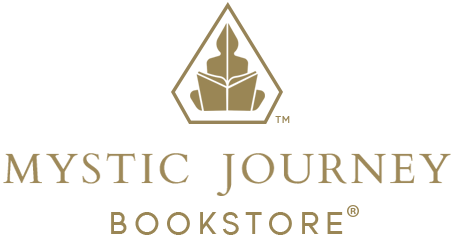 Light Is the New Black is a guidebook for a new breed of women who are here to be bright lights in the world – modern-day lightworkers, who agreed to be here at this time in history. In order to thrive in this new age, everything we do must be an authentic expression of who we truly are. Light Is the New Black will guide you back home to the callings of your soul, so you can light up the world with your presence. Rebecca Campbell had her first awakening when she was a teenager, but without anyone to guide her, she ignored her soul's callings and dimmed her light in order to fit in. Then, just before her 30th birthday, the life she had so consciously created began to crumble around her. It was as if the Universe turned off all the lights, so she had no choice but to rediscover her own. 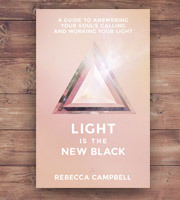 In this book, Rebecca shares her own journey, alongside practical tools to help you reconnect with the core of your being, and channeled messages from the Universe. Once you rediscover what you already know at soul level, you can offer the world something that only you can give.